The Technical and Career Education Center (TCEC), also known as the Tech Center, is home to a host of trade and industry programs. Charlie McDaniel was here for TCEC’s 1972 opening. 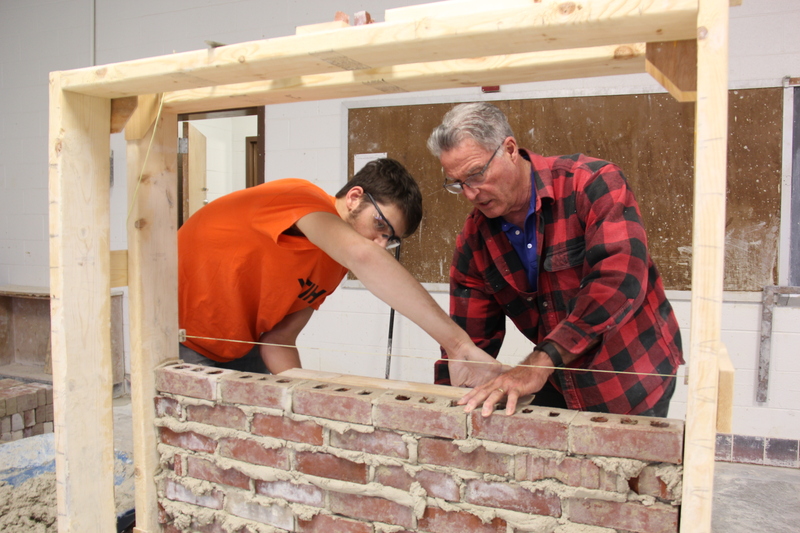 There are 22 technical programs of study offered, some of which include automotive service technology; cosmetology; landscape design and management; licensed practical nursing; public safety; culinary arts; early childhood education; dental assisting; and construction technology, which is comprised of carpentry, electricity, masonry and plumbing and heating. According to the TCEC, these careers have earning potential anywhere from $30,000 to $70,000 per year, often straight out of high school. 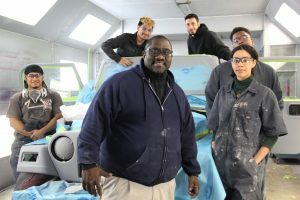 Tony Wilson, Green Run High School, Class of 1990, is one of the auto body and paint technology instructors. Giving back is the same reason Marhalik, who is in her first year of teaching, switched careers after 17 years in cosmetology. Across the hallway is her former cosmetology teacher, Darlene Reynard. Reynard not only teaches, but is one of the center’s advisers for SkillsUSA, a nationwide organization founded to foster a skilled workforce. It hosts numerous regional, state and national competitions and Virginia Beach students have won several titles. Ocean Lakes High School student Nick Bingham shared that many Tech Center teachers have years of experience in the private sector and have helped students land jobs. Air conditioning, refrigeration and heating instructor Daniel Ramos remembers that TCEC also helped him get his start. But it’s not easy making a leap into teaching for those who have found security in private industry. 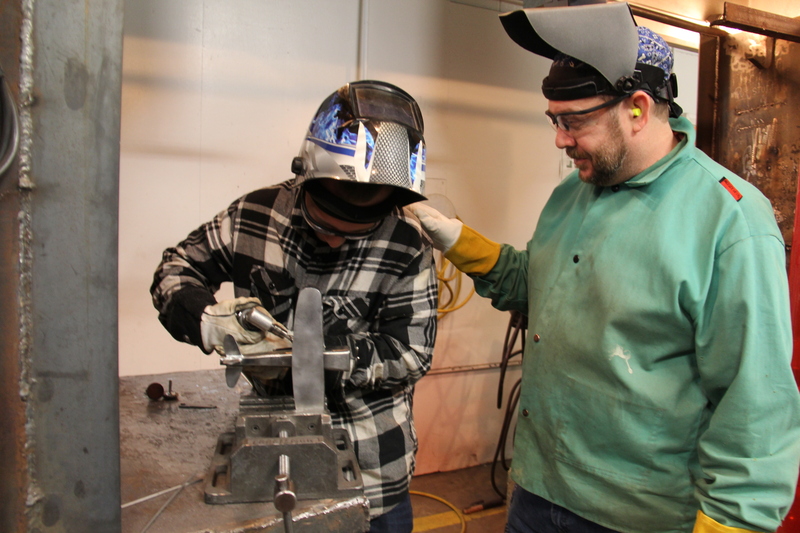 “[Teaching] is the last thing I would’ve thought of,” according to welding instructor Santos, now in his third year teaching. But he soon realized he could make a difference. Learn more about the TCEC by visiting their website at techcenter.vbschools.com. Yes, we need people with these important skills and instructors who want to teach them. So glad to see a renewed interest in the skilled trades.